Michael currently focuses his practice in the areas of employment law, civil litigation and landlord tenant law. Michael helps businesses and individuals navigate the often choppy waters of employment law. He advises on compliance with state and federal agencies relating to wages, discrimination, disability rights, and family and medical leave. Prior to joining Kivel & Howard, Michael represented the City of Portland as an Honors Attorney with the Labor & Employment practice group at the Portland City Attorney. Thereafter he entered private practice with a focus on landlord tenant matters and civil litigation. 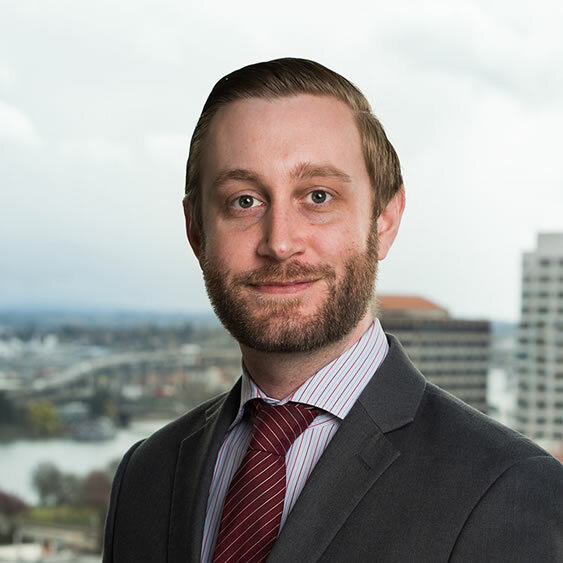 Since 2016, Michael has served on the Pro Bono Subcommittee of the Oregon New Lawyer's Division of the Oregon State Bar. Michael was raised in Arizona and received his Bachelor's degree in Political Science from the University of Arizona. He then attended the College of William & Mary School of Law in Williamsburg, Virginia. While attending William & Mary, Michael served as the notes editor of the Journal of Women & the Law and as a member of the William & Mary Moot Court team. During his second year of law school, Michael worked for the United States District Court for the District of Oregon, under the Honorable Owen M. Panner. Upon graduation, Michael moved to Portland, Oregon, where he continues to call home. Outside the practice of law, Michael enjoys writing music, cooking, and reading the Sunday newspaper.